Atlantic Southern Paving and Sealcoating is the Jupiter asphalt paving company you can count on for all of your asphalt paving needs. 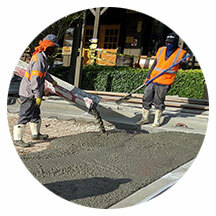 We have been serving Jupiter and its nearby areas with quality asphalt paving services for over 25 years. Our highly trained asphalt paving experts specialize in various different asphalt paving services including sealcoating, asphalt repairs and much more. At ASP, we have the ability to tackle any asphalt paving project, regardless of the size of your property. Our dedicated team will get the job done on time and within budget. Get in touch with us online to get started on your asphalt paving project today! Asphalt Milling is the process of recycling and removing parts of your asphalt surface with an asphalt milling machine. This is the ideal way of leveling your surface before applying a new asphalt overlay. 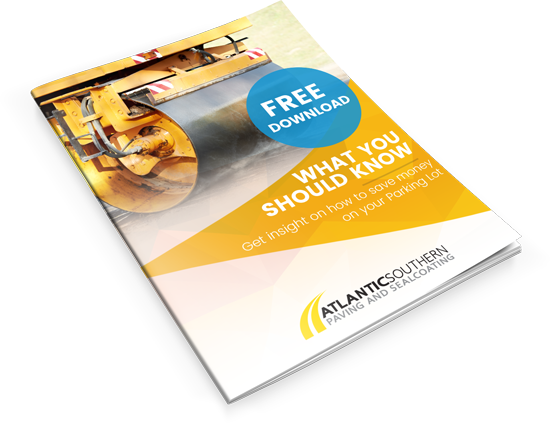 Our asphalt paving contractors at Atlantic Southern Paving and Sealcoating uses Hot Mix Asphalt (aka HMA) which is known to be the most popular and durable asphalt material to meet your asphalt paving needs. Sealcoating your asphalt protects your asphalt surface from water, oil, salt, UV rays, and other damaging chemicals. This process will extend the life of your asphalt and also help restore the original new asphalt pave look. Keeping your parking lot area safe and fresh is very important to your business as this is one of the first impression customers have about your business when driving into your property. Click here to learn more about our parking lot striping service. 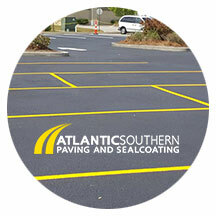 Atlantic Southern Paving and Sealcoating is equipped to handle all of your asphalt maintenance and repair needs. While HMA is the top choice for asphalt paving needs it still requires maintenance to keep your asphalt surface safe and fresh for customers. ASP provides you with asphalt paving services that provide the best results for your asphalt paving projects, making us the top Jupiter asphalt paving company. Check out our gallery to view our recently completed projects for various leading companies like K mart, The Home Depot, CVS Pharmacy and more! Our Jupiter asphalt paving company offers free estimates and consultations. If you are ready to start on your new asphalt paving project or need to repair your existing asphalt contact us online or call our Jupiter asphalt paving contractor at 954-518-4315. We look forward to working with you.